All responsible homeowners keep a close eye on weeds all year long as these invaders can provoke serious damages to a lawn and landscape if not properly kept at bay. Unfortunately, giving the weather conditions here, weeds represent a year-long problem. Some sprout and spread in spring, others in summer, while others give us a lot of trouble in autumn, just when we thought we got rid of them all. DIY weed control measures come with plenty of risks and today our fertilization & weed control Forth Worth TX specialists are here to share some of their experience with us. Why is it Risky to Apply Fertilization & Weed Control Treatments all by yourself? The chemicals you find in stores follow a “one size fits all” recipe. Even if you get the right ingredients and proportions, you are still experimenting because your soil’s pH and chemical composition may change from one year to the next. In other words, the mix that worked last summer can literally burn the soil this season. Another risk you take would be harming of the micro-ecosystem living on your property, especially if you introduced new plants this year. They attract new insects and wildlife and the fertilizers you believe in may harm them beyond salvation. There are plenty of other damages you can avoid by contracting a professional fertilization & weed control Forth Worth TX company. Let’s see what we can offer you! 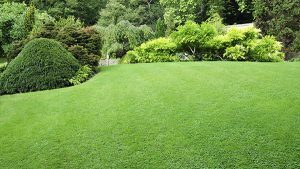 As a licensed contractor, we are able to provide you with a customized and tailored lawn care program that guarantees the deterring of weeds all year long without harming your vegetation, insects, wildlife, kids, and pets, or the environment. We use bio-based products in addition to traditional lawn products to keep your lawn green and weed-free and also enhance the health of the soil. We implement a time-tested program consisting of seven treatments per year and including pre-emergent weed prevention, fertilization & weed control. We will always first perform a soil test and learn about its pH and fertilization needs; we will also conduct a thorough analysis of the vegetation and the micro-ecosystem thriving on your property to make sure our treatments are tailored to protect them. Our comprehensive Fort Worth lawn care strategy is based on an innovative fertilization program, disease and fungus control, insect and grub control, core aeration and high-quality weed control products. In case you want to keep weeds at bay but enjoy a lush, thriving landscape, give our fertilization & weed control Forth Worth TX team right now and ask for a free estimate!